It has been my distinct pleasure to spin the tunes for you this weekend, but I’m going to hand it back to my Brothers and enjoy an unplugged Sunday night. Of course I can’t leave you without one for the road. This one is from Joriel “Joz” Jimenez and he calls it Bring it on…again. 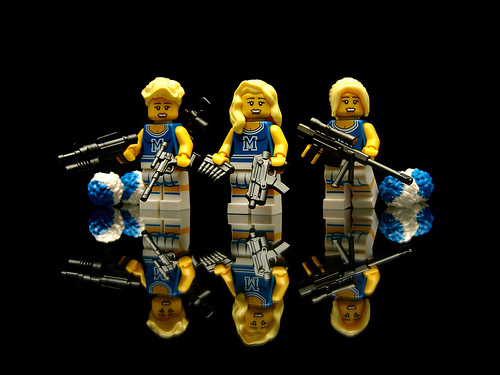 Cloned-cheerleaders and aftermarket guns; what more could you ask for?